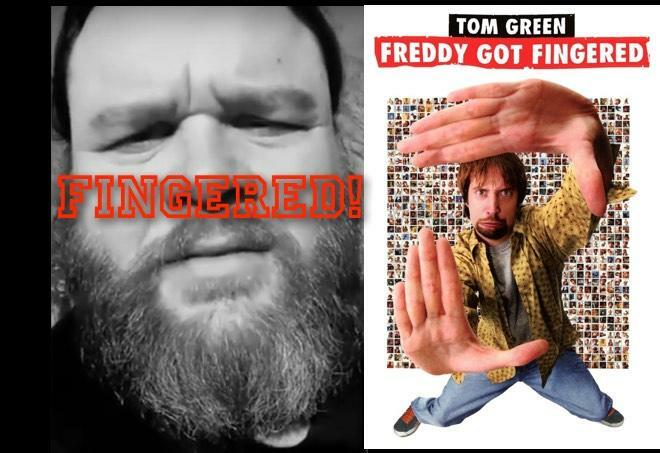 It took 14 years, but the Concord, North Carolina, Police Department has cracked the case of the missing "Freddy Got Fingered" VHS tape. Every criminal mastermind eventually makes a mistake and this time it was a broken taillight that snared James Meyer, 37. Meyer, who is suspected of not returning a rented copy of the Tom Green classic film to J&J's Video in Salisbury in late 2001, was driving his daughter to school Tuesday when he was stopped by an alert Concord officer who soon realized he had stumbled across the prime suspect in the missing VHS case. Unfortunately, the arrest comes too late to save J&J, which went out of business years ago. While "Freddy Got Fingered" opened to harsh criticism from a dying breed of older movie reviewers, it evolved into a classic comedy that is frequently quoted and fondly rewatched by cultured people around the world. Any copy of it is considered a treasure. When Tom Green, who is on a stand up comedy tour in Australia, called Meyer's after he learned of his arrest Wednesday. The actor-comedian-talk show host offered to help his fan with legal fees.